It was done in the last patch I think, I don't recall them having it before, but didn't check back then. They have an elite SMG with shock accuracy and aim time now. Here, check the last tab named NEW MG STATS, I updated it a while back. They've got 0,133 dps on their SMG now, better than commandos '90 with their leftover carbine stats. But the regular MG brings their DPS down quite a bit, if they had a premium MG, they'd be really good at killing infantry. As for the purpose, well they really needed that buff but so do almost all 15-men squads, I don't get the 10 point penalty for extra five men, 5 points should be enough. The Suomi-KP has ludicrous controllable firerate in real life and it uses a 100-round drum, but so do a lot of other things. Beyond those, one can only guess. JoonasTo wrote: The Suomi-KP has ludicrous controllable firerate in real life and it uses a 100-round drum, but so do a lot of other things. Yeah, there's tons of anecdotes of how a 9x19mm Parabellum round doesn't make the Suomi KP (at over 7kg fully loaded) kick so much as purr, so I suppose you'd have a very good excuse to give it a flavourful high ROF. It's still not a great unit in small games, though, in my opinion. From my experience Finland standalone is very capable and flavourfull nation though with some weaknesses: ATGM plane, ~90 pts tank, AA heli. Poland has all of them, and they are excellent ones: Seria, Wilk, Sokol(not excellent but quite good). Anything else in deck stays finnish I would rate Baltic Front at least same powerful as Entente. 4. We have not had reason to date to question Finnish military security or faithfulness to commitments US. Your spy hasn't uncovered that Kekkonen is secretly plotting against you! After the recent patch I still feel that Panssarijääkäri '90 and Rannikkojääkäri '90 should have their card availability swapped: 2->3 (e.g. Proleteri '90) & 3->2 (e.g. Royal Marines '90) respectively. Finland/Baltic Front Motorized is already pretty decent even with reduced amount because of Kaartinjääkäri hordes, but Mechanized could use some love since you get pretty much two cards of efficient infantry; RPG-16D's AP and Raikka's range... Compared to Yugoslavia/Entente there's 1 card of Bumbar and three cards of M-90. Woah, just found this thing. 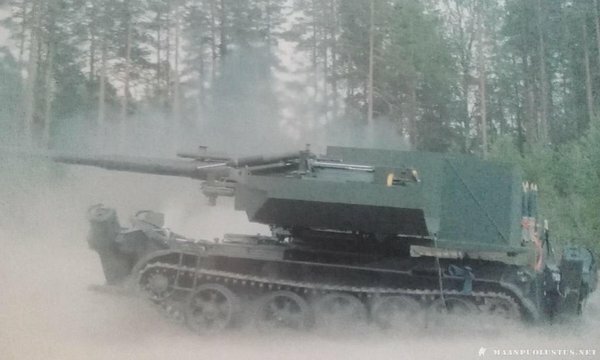 According to the description, it's a Finnish experimental 155mm artillery mounted on a T-55 chassis. Tiera wrote: The photo is indeed awesome, what was the source? I just saw it on Pintrest when I was looking for a different T-55 modification. I've tried searching for it and I can't find any info behind it other than it exists. Found more on it, accordingly it was made for export to Egypt after an order in 1996 and originally planned to mount the M109A2's gun. That fell through and it was made instead with the 155 GH 52 APU gun on a T-55 chassis. Sadly, the prototype wasn't ready until 2003. Sweedish_Gunner wrote: The poor man's Otomatic. More like a rich man's! 155mm guns aren't cheap! And imagine the direct fire range! Not to mention the indirect fire range. 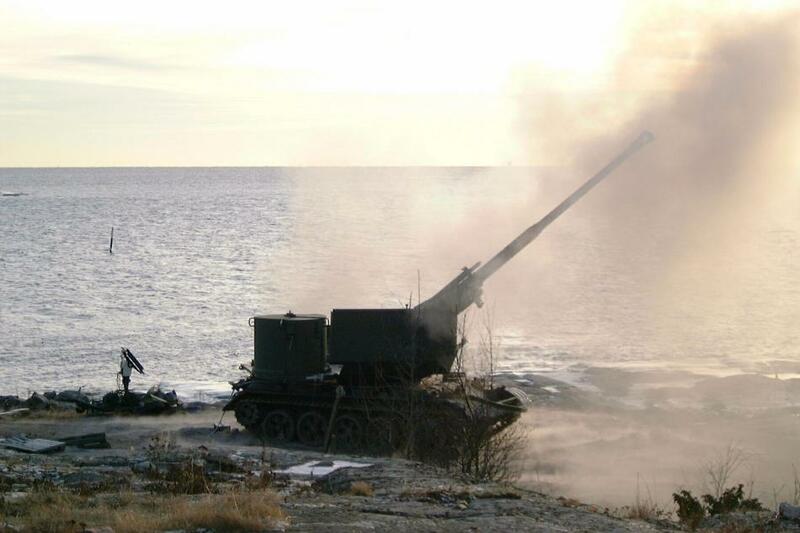 The prototype reached ~46 kilometers with indirect fire, and therefore holds the current record of non-rocket-propelled indirect fire range in Finland. The 55GH52-SP-T55 was made by Patria, a company established in 1996. 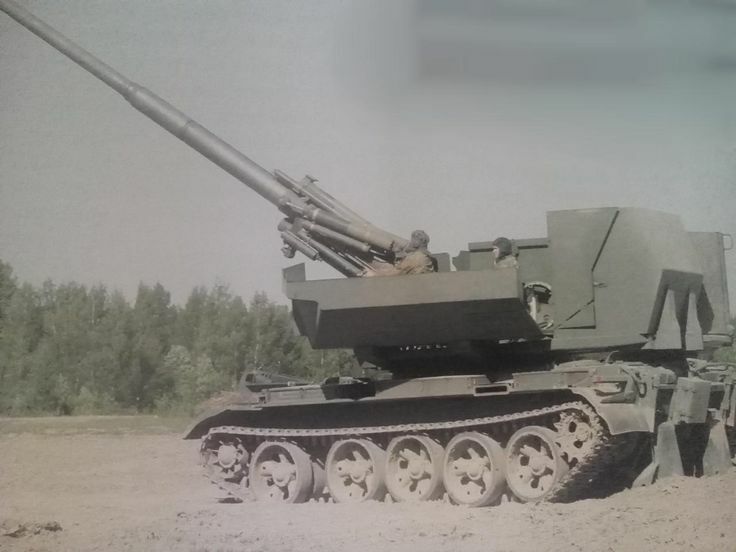 The chassis was from a Polish-made T-55 (production number 63M2568D), and was deemed very stable in the test shootings. Later on the Egyptians changed the chassis, which made the whole unit much more heavier and led to engine overheating and other problems. All in all its an interesting vehicle - and way out of timeframe. Here's another photo of it (only one from the right side as far as I know), sadly it indeed was so much out of timeframe. It's firing at Katajaluoto, where at least a range of 43 km was reached. Just in case if Eugen ever goes to make a modern/2000's wargame... tho it has "ersatz" written all over it, especially after the K9 purchases. Emails and classified information are one thing, but photos are something else. The source comes from a Finnish military discussion site, and these are screenshots from a short video - Sleksa is talking with the original poster to secure access to the video as well.